A few weeks back, around the middle of March I set out for a walk with a couple of friends armed with a drill, a Demijohn and some plastic tubing. We headed for a spot in some local woods where we knew there was a stand of Silver Birch trees, and after selecting a suitable tree, with a good sized trunk - we started to drill a hole in it. This wasn’t some senseless act of woodland vandalism, but a foraging ritual performed throughout the woodlands of Northern Europe to gather the sap of the Silver Birch. 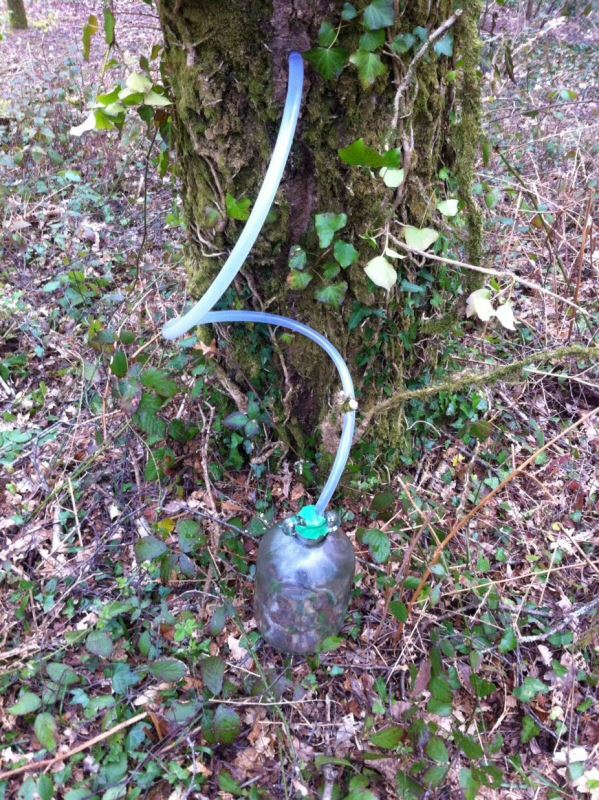 In the UK, the Birch sap season is around the last 3 weeks of March. I like to imagine that on the evening we set about Birch tapping down near the river, there were others up and down the country engaged in similarly clandestine foraging operations. It’s a very simple process, you only need to drill an inch or so into the trunk and within seconds the sap starts to trickle out. Although it was dripping at a steady rate, there’s not much else to do other than let nature take its course, so we pushed the tubing into the hole in the trunk and wandered on through the woods and headed for the pub. A couple of pints later we returned to check on the progress of our sap collecting and were heartened to see the Demi-john was already a quarter full. Leaving it overnight we came back the next morning to find it full to the brim and eagerly drank a cool draught of the clear, colourless nectar. It’s hard to describe the flavour of Birch sap, as there’s not much to it, but something about it tastes so fresh and clean that it’s like the best spring water you could ever imagine. Since it only keeps for a few days in the fridge you either need to drink it fresh or preserve it in another way. You can turn it into syrup, but the sugar content is so low that you get very, very little in return for your efforts. Best, I think to make it in to wine. Heat the Birch sap and the sugar in a large pan, stirring until dissolved and bring to the boil. Turn off the heat and add the juice of a lemon. Follow the instructions on the packet of white wine yeast (usually involves adding the yeast to warm water with a little bit of sugar, stirring and leaving in a warm place for approximately 15 minutes). When the Birch sap has cooled to blood temperature pitch in the yeast and nutrient, then pour into a sterilized bucket and cover with muslin and leave to ferment in a warm room for 5 days or so. 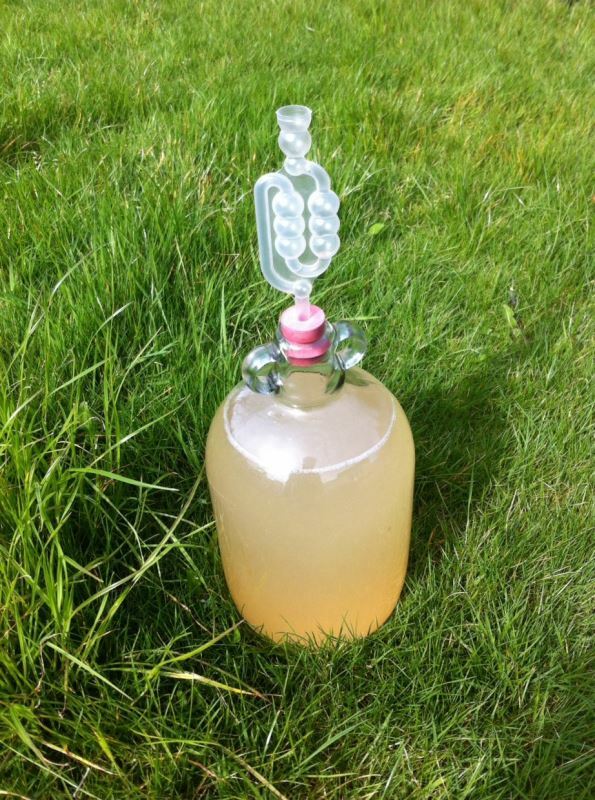 Transfer to a Demijohn and fit with an airlock. Leave in a warm place until the bubbles stop (usually a month or so) then rack into a fresh Demijohn, leaving behind the yeast and leave until cleared before bottling, making sure, as always that everything is sterilized. Mature for a few months at least before drinking for the best results.